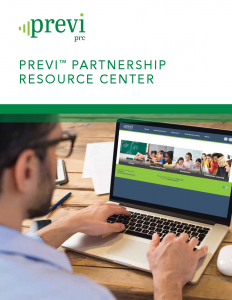 We are pleased to introduce the Previ Partnership Resource Center (PRC), an online portal for teachers, curriculum teams, and administrators. 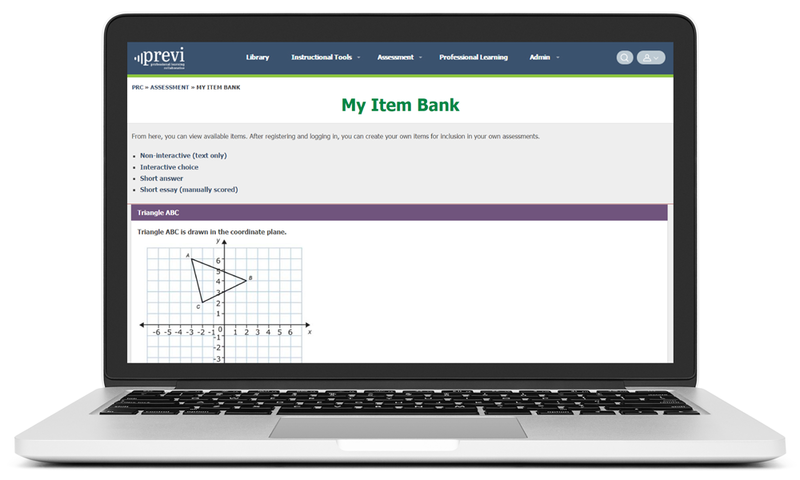 Previ PRC houses a dynamic collection of materials, tools, and techniques to help you prepare students for success. 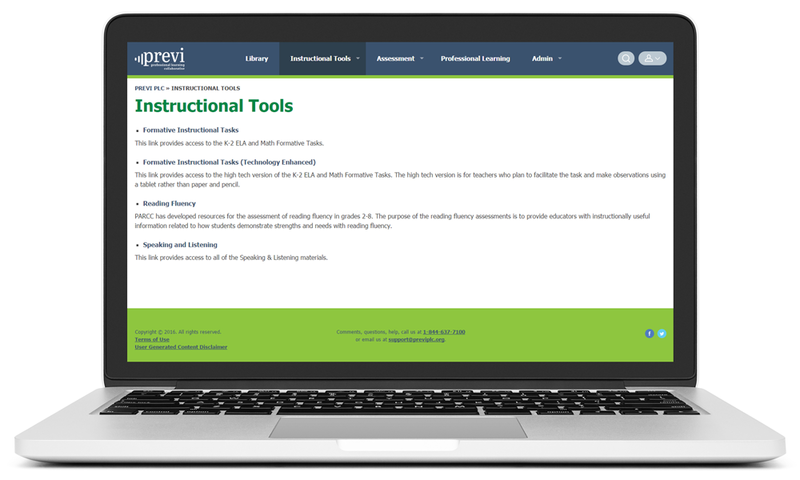 From videos and presentations to articles and practical classroom resources, Previ PRC supports classroom teachers’ practice, and empowers them to build knowledge of instructional approaches for helping students meet standards. It’s the always-on, always-available place educators can go to find the information and support they need…when they need it. Previ PRC meets your professional development needs as outlined in the new Every Student Succeeds Act (ESSA). 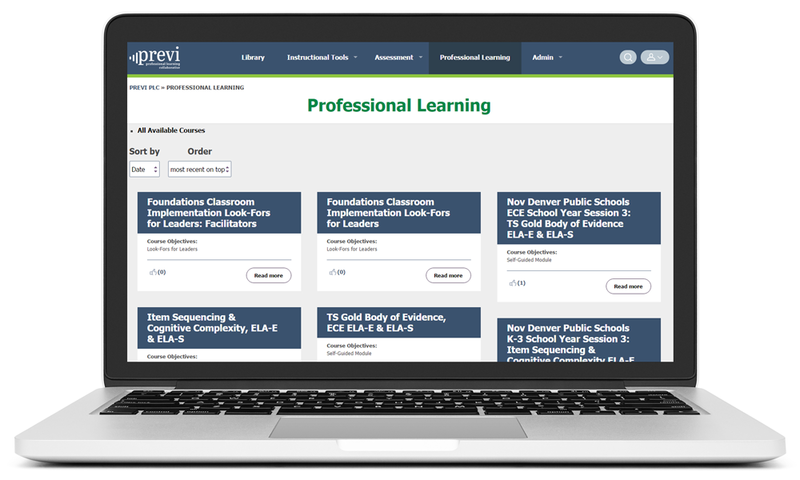 Districts and schools can tap into a variety of funding sources, including Title I and II, to utilize Previ PRC. Here teachers will find instant access to articles, classroom activities, how-to videos, and presentations that focus on instruction, assessment, and practice. 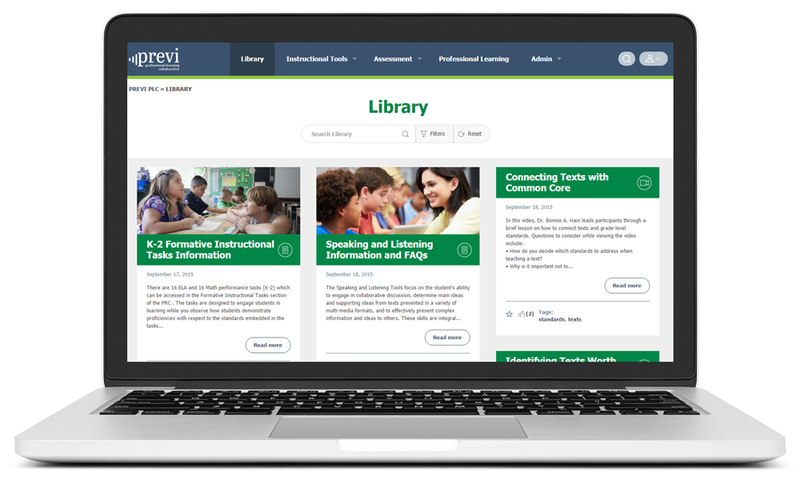 Resources in the Previ PRC Library enable educators to understand how standards (including state standards and the Common Core) can influence and improve student achievement and support college- and career-readiness. Access high-quality digital instructional resources developed by educational experts (the same experts involved in developing college and career ready standards and aligned assessments). Access standards-aligned test questions or create your own with our test generation tool. The math and ELA/literacy test questions are designed to be integrated into classroom practice. Our authentic, standards-aligned content can be used with our online test-generation application so you can create your own test questions. Previ PRC supports teacher engagement, teacher exchange, and community sharing. Teachers can take advantage of on-demand, independent learning opportunities with a growing collection of interactive, self-paced, online courses and a curated collection of external courses aligned to leading college- and career-ready standards. We offer a comprehensive suite of diagnostic subtests and aligned reporting to help make sure students in grades 2–11 are learning the key skills that will put them on a path to college and career readiness.